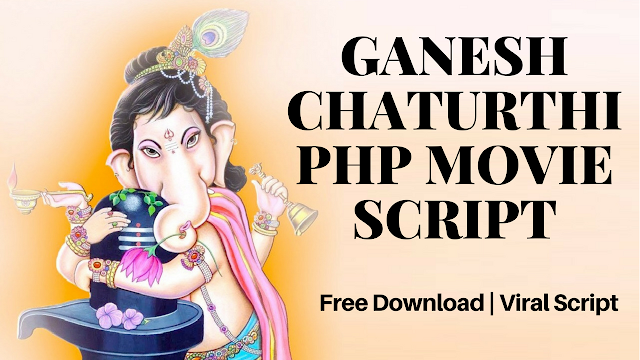 Ganesh Chaturthi movie script | Whatsapp viral script free download | Festival wishing website. Lord Ganesha was the son of Goddess Parvati and Lord Shiva. However at the time of his birth, Lord Shiva was not around, so when he came to visit Goddess Parvati, Ganesha did not recognize him and did not allow him to enter his mother's abode. Wild with rage, Lord Shiva severed Ganesha's head. Seeing her infant son dead, Goddess Parvati orders Lord Shiva to reincarnate her son. Lord Shiva, therefore, orders his servants to bring him the head of an infant. After his servants bring the head of a baby elephant, Lord Shiva merges it with Ganesha's body and brings him back to life much to the satisfaction of Goddess Parvati. Please don't forget to Like, Share, Comment and Subscribe to our Techno Vedant Channel for more videos.